Visit GTArcade at Gamescom and Get Free Gifts! Celebrate gaming! GTArcade is giving away amazing gifts for all fans attending Gamescom in Cologne, Germany. Attendees can also expect breathtaking indoor and outdoor performances, sensational live events, and the latest highlights of the gaming world. From Thursday, August 18th, to Sunday, August 21st, anyone attending Gamescom can visit our booth at B042-B040 B2C Hall 10.1 to get FREE gifts such as a T-Shirts, mobile phone covers, bags, and more. 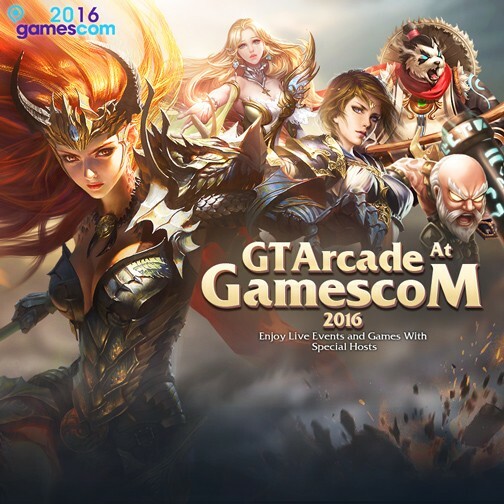 To make sure you get your gift, please sign up to reserve a gift at http://www.gtarcade.com/gamescom2016. 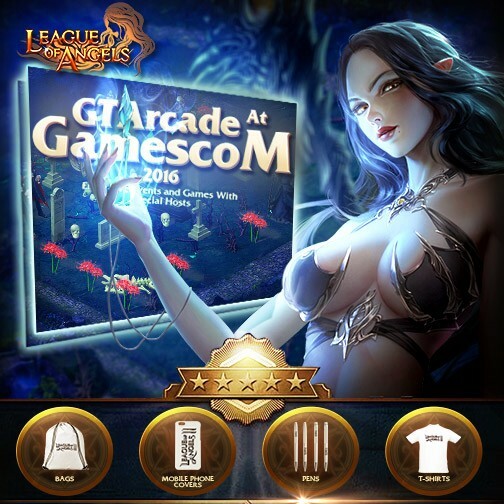 Apart from the gift giveaways at Gamescom, League of Angels has also prepared another series of great in-game events to celebrate the convention. Log in from August 18 - August 21 to claim lots of rare items FOR FREE! There will be free gifts every day during the Gamescom period, so stay tuned! We hope players have a great time during the biggest gaming convention in Europe and take in all the new LoA content to their heart’s content! Let’s celebrate gaming together and share simple joy! League of Angels is a free to play MMORPG featuring strategic combat and beautiful visuals, making it one of the best online games in its genre and awarded “Best Browser MMO of 2015”.